Nutrition and Supplements: The Building Blocks of a healthy lifestyle. 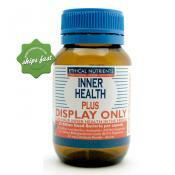 Want the best brands in nutritional supplements? Want advice from Pharmacists with post-graduate education in Nutrition and Environmental Medicine? Want a better healthier diet? Nutrition really is the building block of our lifestyle... years ago my grandmother told me "You are what you eat" something that seemed too trivial then... now rings so true. In a life in a time of convincing and sometimes our diet lacks the vitamins and minerals we need to stay happy and healthy. 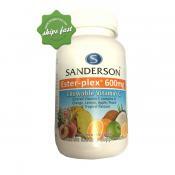 We offer a range of top brands in nutritional products to support your diet and lifestyle. If you want help or advice on nutrition please give us a call on 0800 000 980 and talk to a pharmacist. Page updated 28/11/18 11:30:36 p.m.
Terraflora is the new generation of symbiotic. 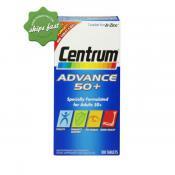 It contains a prebiotic (the food the beneficial bacteria eat) and probiotic (the beneficial bacteria). It is gluten free, dairy free and paleo friendly. (This is our replacement for prescript assist). Strong and powerful. 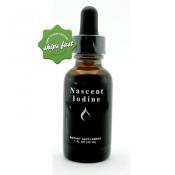 Highly bioavailable form of pure atomic iodine supplement in an energized state. 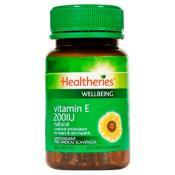 Rapidly absorbed and used by the body. 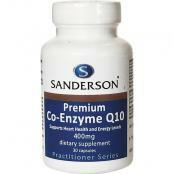 A very high potency formula that uses advanced Q-Sorb high bioavailability technology that is absorbed by the body 33 times better than the dry forms of CoQ10. 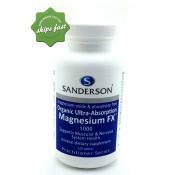 Sanderson Organic Ultra Absorption Magnesium FX is specially formulated to be better absorbed and utilised by the body. 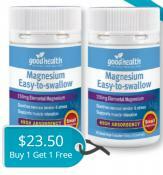 It contains a high absorption complex of magnesium salts and does not contain inorganic magnesium oxide and phosphate. 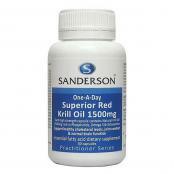 Sanderson Krill Oil 1500mg Capsule is a full strength omega-3 essential fatty acids plus antioxidants that are better absorbed than regular fish oil. 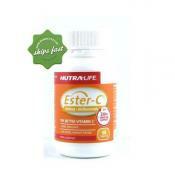 High potency vitamin C complex combined with natural co-factors that supports optimum bioavailability to the body. 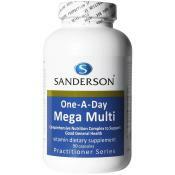 One of the most comprehensive multi-supplement formulations available in a single daily tablet. 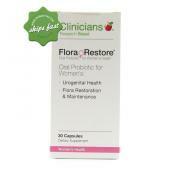 Clinicians Flora Restore is a specially formulated oral probiotic for women that helps support healthy vaginal flora and urogenital health. These oral drops contain a highly bioavailable formula of Vitamin B12 for easier absorption to help support mood and the nervous system. 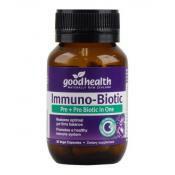 A high potency formulation using the four best researched herbal extracts known to support the body's immune response to help fight off common winter illnesses. 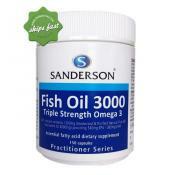 Sanderson Fish Oil 3000 150 Capsules provides the body with 3000mg of EPA and DHA in an easy to swallow 1500mg soft gel capsule. 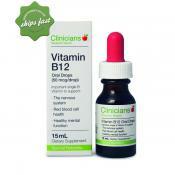 Aa high potency vitamin C complex combined with co-factors for optimal bioavailability and to help maximize immune performance. 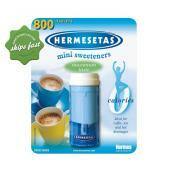 5 Fruity Flavours in each pack - peach, apple, tropical, orange and lemon. 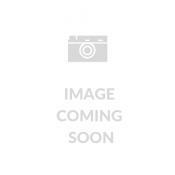 GoHealthy Go Turmeric 600mg is formulated using the patented Meriva Curcumin. Clinicians REM Sleep is a nutrient formulation designed to help support normal sleeping patterns. 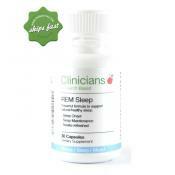 Clinicians REM Sleep contains 5-HTP with known properties that may help to calm and relax the muscles and nerves. 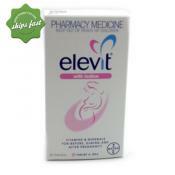 Elevit has now been reformulated for better support of mother and child during this time of growth and development. 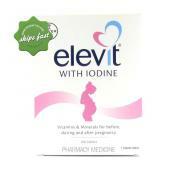 Use Elevit Iodine Multivitamin during conception, pregnancy and breastfeeding. 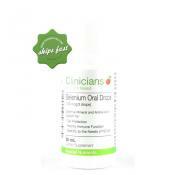 Get the benefits of mineral and antioxidant support in oral drops by taking Clinicians Selenium Oral Drops. 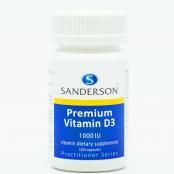 Selenium assists in providing potent support for cell production as well as aid in healthy immune function. 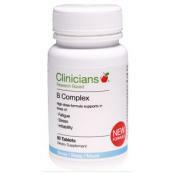 For a high potency of essential B vitamins, take Clinicians B Complex. It is essential in the proper functioning of the nervous system as well as helping to maintain over-all health and well-being. 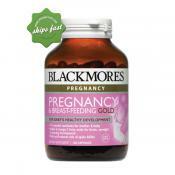 Specially formulated to support optimal intake of the essential vitamins, minerals and oils necessary during pregnancy and whilst breastfeeding. Especially formulated for pregnant, planning to get pregnant and breastfeeding women, Elevit with Iodine Tablet offers the highest level of iron, folic acid and iodine in combination. 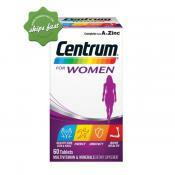 Based on formulation clinically proven to reduce the risk of neural tube defects like spina bifida by 92%. 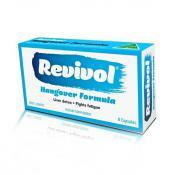 A high potency well tolerated liquid form of Zinc -cost effective and flexible dosing suitable for the entire family. 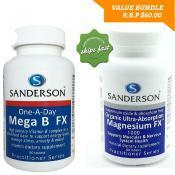 A potent probiotic, Sanderson ProBioFx Gut Restore contains 11 billion good BB-12 bacteria in each tablet. 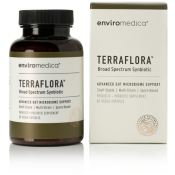 This scientifically researched probiotic may assist in restoring a healthy balance to the gut and bowel after a course of antibiotics or after going through a gastrointestinal upset. 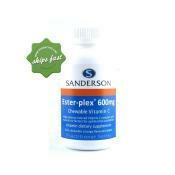 Helps boost natural immunity around the clock to help fight off winter ills and chills with a form of Vitamin C that is quickly absorbed by white blood cells. 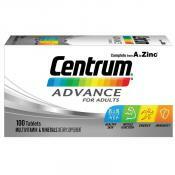 A specially formulated multivitamin and mineral supplement to help address the nutritional requirements of all New Zealanders. 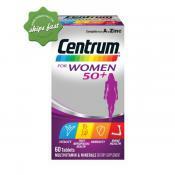 Formulated with a focus on nutritional support especially addressing the most common issues for women who are 50 years and older. All natural ingredients derived from inner lining of eggshells. 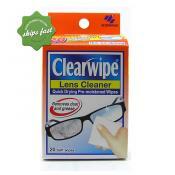 For safe and effective lens cleaning, use Clearwipe Lens Cleaner. It is available with 20 individually wrapped wipes in one pack. Works as a great wipe to prevent dust and grease. 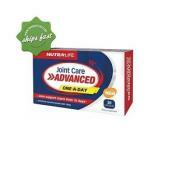 Specially formulated to support nutritional needs to help the body maintain healthy joints, as well as supporting digestion and gastro intestinal health. 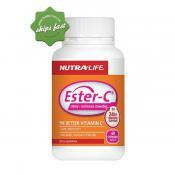 A highly bioavailable and highly absorbable form of Vitamin C that is non-acidic and gentle on the stomach. 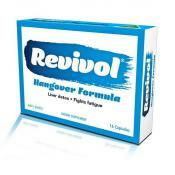 Hangover Formula Liver Detox Fights Fatigue Dietary Supplement Alcohol, which is a part of our lives can take a physical and mental toll to some degree on everyone which affects physical performance Revivol provides nutritional support to help you withstand the effects of a good night out, including ingredients to support healthy liver function and liver detoxification processes, fight fatigue and tiredness and simply help you enjoy the next day. 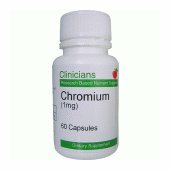 A superior low allergy formulation, this product is specially helpful for people who are at risk of reduced sun exposure and therefore not getting enough vitamin D.
Clinicians Chromium is an essential trace element that plays an important role in the normal function of insulin and glucose metabolism. Interest in this trace mineral grew after studies showed that a deficiency in chromium was related to blood sugar imbalances. 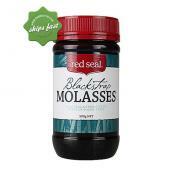 Red Seal BlackStrap Molasses is a natural source of essential vitamins, minerals and trace elements. 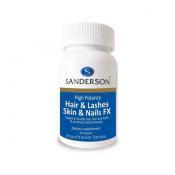 Nutritionandsupplements Page updated 28/11/18 12:47:36 p.m.